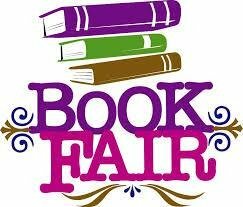 Lewisburg Middle: Highlights - LMS Book Fair Starts...Today! LMS Book Fair Starts...Today! LMS Reading Group Shares Joy of Reading with MES Students Congrats to Students that Received B.U.G.S., Honor Roll, and Perfect Attendance Awards! Ms. Kara Barker Named Teacher of the Year Congratulations to New and Returning Beta Club Members! Let the Battle Begin: Food 2 Families Food Drive Ms. Ludin's Class Makes a Cloud in a Jar LMS Volleyball Team Takes 1st Place in the Muletown Classic, 2nd Place in State Tournament! LMS Fundraiser happening...NOW! LMS Football Team Takes Home Trophy for the South Central Conference!